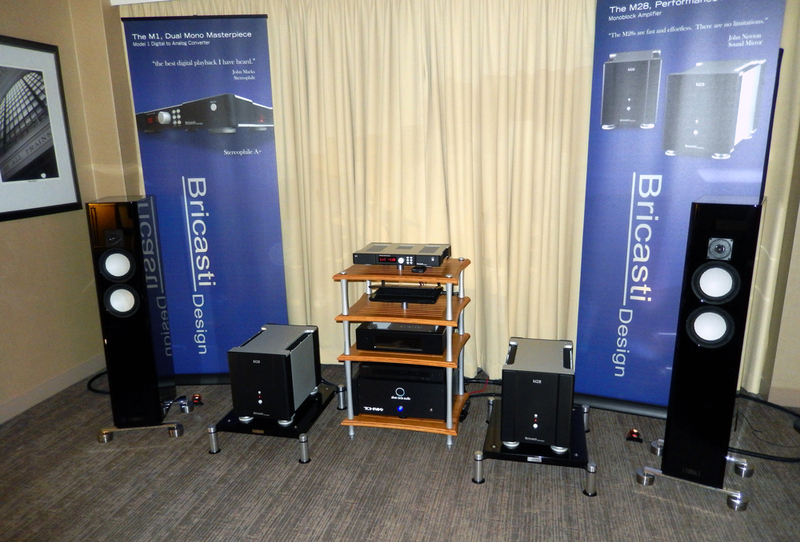 Bricasti wowed yet again in its own room featuring file playback to the M1 DAC ($8,995), Aurender W20 ($17,600), Bricasti M28 Monoblock Amplifiers ($30K/pr), and Tidal Piano Diacera Dimond Speakers (discontinued; were $30K/pr). There is a theme developing in regards to Tidal and Bricasti, that these two brands play very well together! 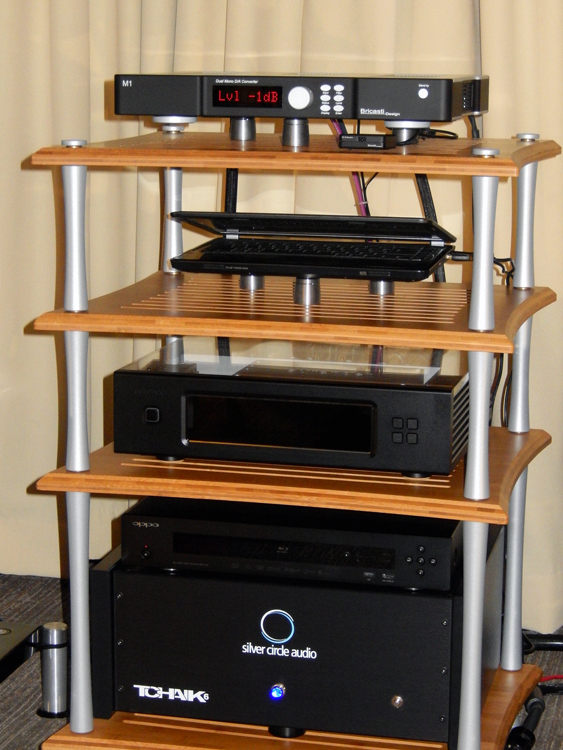 Aside from single brand systems such as Linn and Electrocompaniet, rarely have I heard such powerful synergy in systems. President Brian Zolner was cherubic as he played the Kansas City Chorale’s performance of Rachmaninoff’s “All Night Vigil,” a glorious demo of the system’s refinement. Vapor Audio showed it’s new flagship, the Perfect Storm ($26,995), which I found capable of prodigious performance at the extremes. 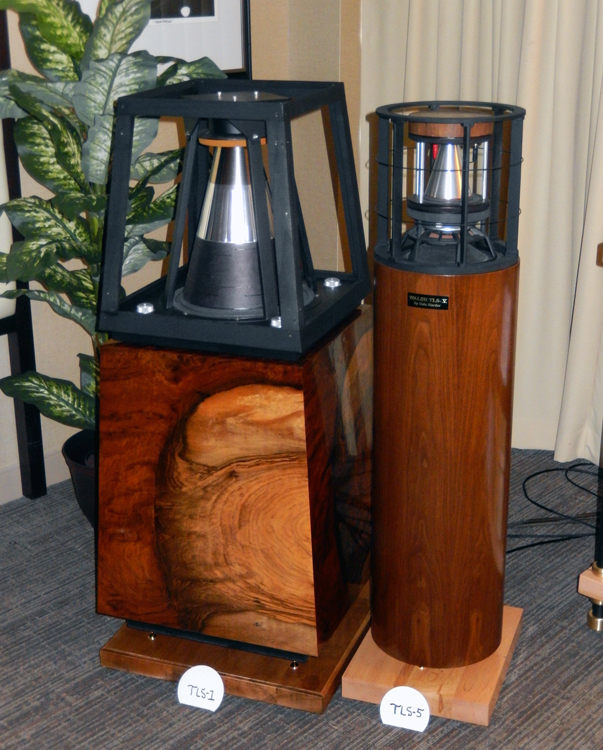 Along with the Perfect Storm were the Antipodes DX Reference Music Server ($7.5K), Lampizator Golden Gate DAC with volume control ($17.6K), Lamm ML 2.1 Signature Pre-Amplifier ($16K) and ML 1.2 Reference Monoblock Amplifiers ($27K/pr), as well as Verastarr Audio Cables ranging from 1M Reference USB ($799) to Grand Illusion Signature Speaker Cables ($4,999). 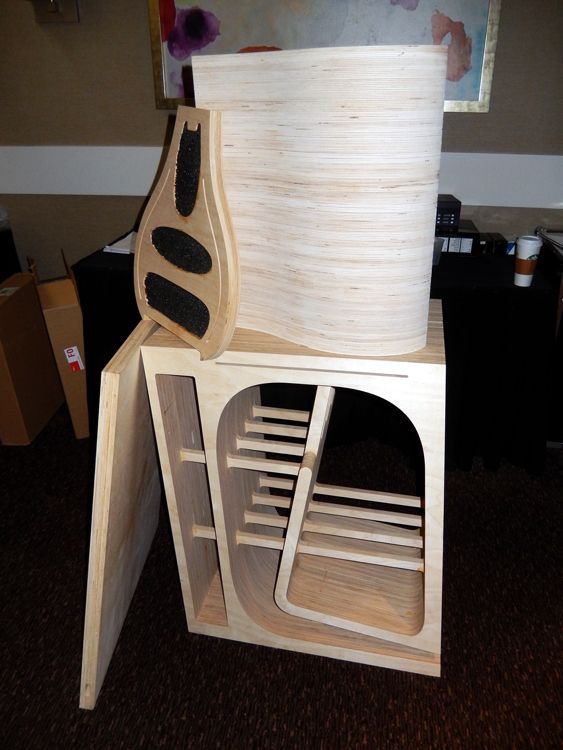 Vapor also showed its new adjustable equipment rack ($6.5K). 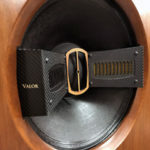 The speaker came together shortly before the show, and incorporates a new Acuton midrange, so it was not “optimized over time,” as with many more mature products. This was evident in the treble being a bit overdone. Despite this, the vividness and information retrieval were breathtaking. 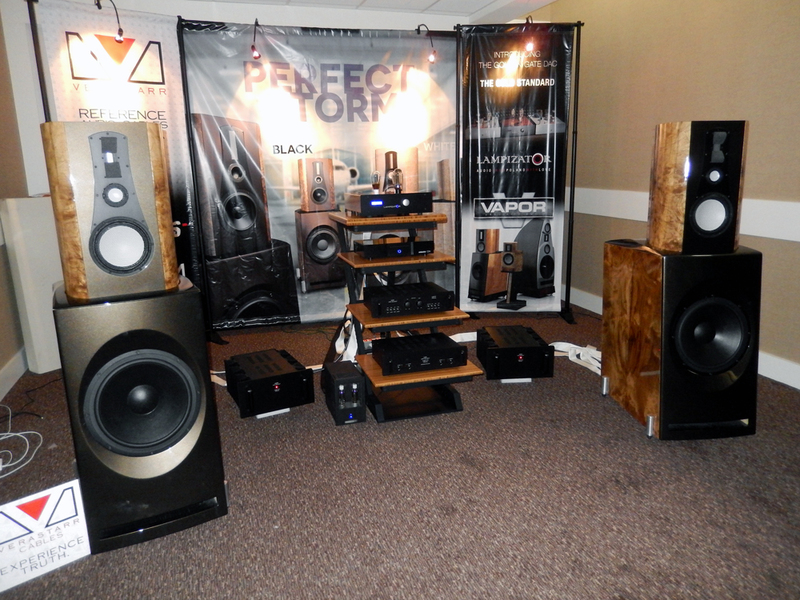 The bass impact and cleanness was among the best of top end speakers in the show. 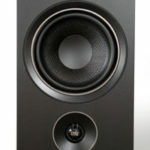 I am scheduled to take delivery of a pair of updated, custom Joule White speakers soon and will report on my experience. 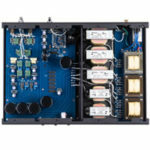 Dale Harder of HHR has resurrected the Ohm Walsh driver in order to revive this iconic omnidirectional speaker system, represented by the TLS-1 Walsh style speaker (base price $15K), and TLS-5 ($6.5K). 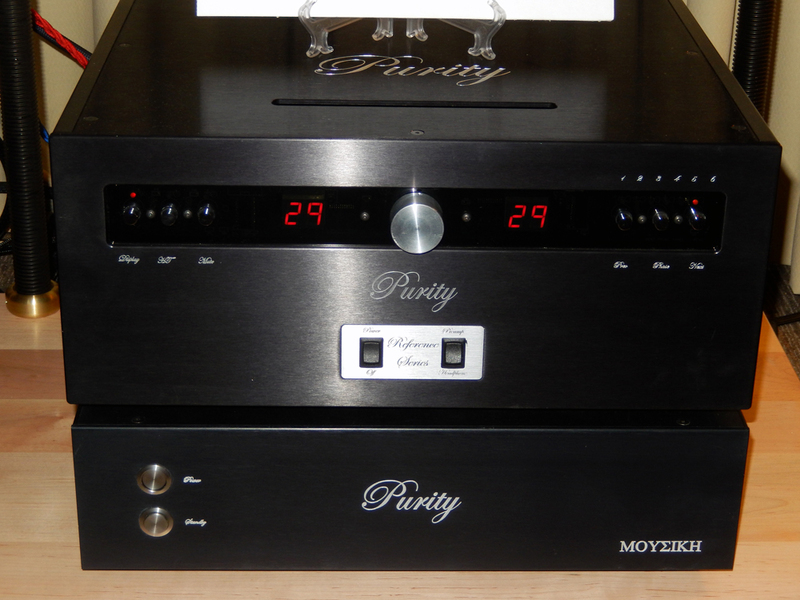 A Q-Sonix Model 205 Computer server ($8,250) fed a Purity Audio Design Reference Preamp ($12,495), and MoyEikh Amplifier ($8,495), and various Purity or Pangea cables were used. As a single driver technology the HHR is exquisite, engaging the ears in a way that concentric speakers such as Tannoy does, but with a much more voluminous soundstage. 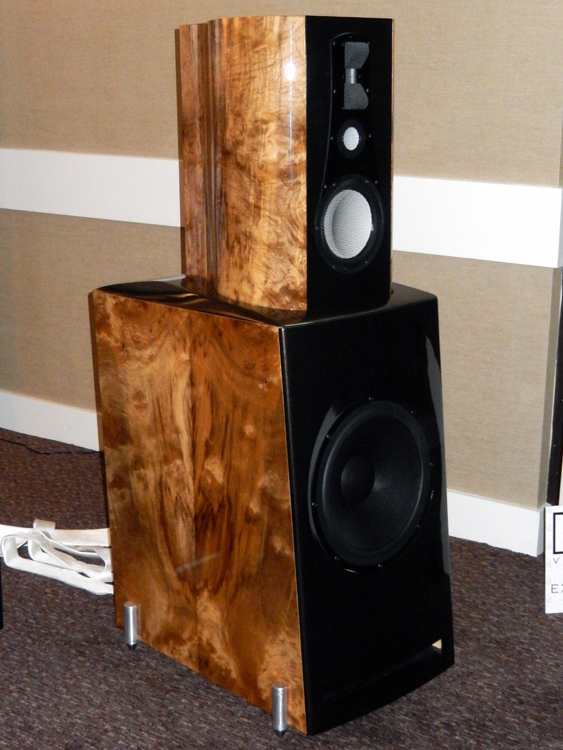 It helped to keep the speaker from sounding muffled that they sat on HHR Maple Plinths (prices vary, approx. $300), and used HHR’s own ribbon speaker cables. Kudos to Dale and his very supportive wife, Yin, for this fine achievement! 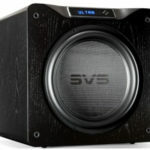 The HHR struck my ear as an excellent alternative to panel speakers for those craving huge sound.